More drama continues to unfold from the alleged President Emmerson Mnangagwa bulk text messages sent to many people across the country, with lawyer Owen Mafa of the Mutendi, Mudisi and Shumba Legal Practitioners approaching the High Court suing the Zimbabwe Electoral Commission (ZEC), Econet Wireless Zimbabwe, Zanu PF and Gutu West Zanu PF parliamentary candidate, John Paradza for sending him the text message. In his High Court application, Mafa cites Econet Wireless Zimbabwe as the first respondent, Zanu PF as the second respondent, ZEC as the third respondent and Paradza as the fourth respondent. “Sometime in January 2018, I approached the third respondent with the intention of registering as a voter in the July 30, 2018 elections. The third respondent requested for my contact details together with my residential address which I forwarded to her through an affidavit. “On July 7, 2018, I was puzzled to receive a message from the second and fourth respondent on my contact details that I had solely provided to the third respondent. 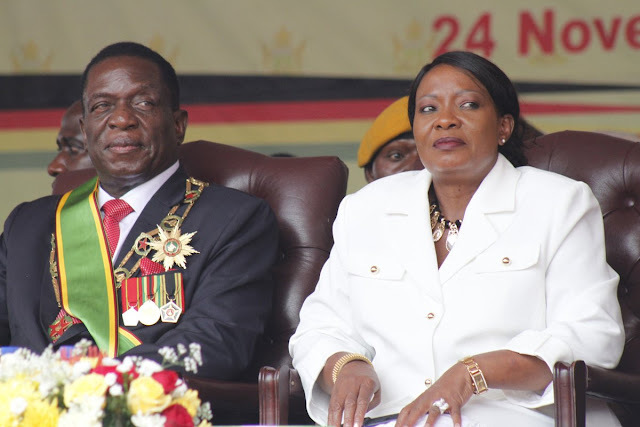 “The messages were sent on my mobile number wherein the second and fourth respondent were urging me to vote for them and their presidential candidate Emmerson Dambudzo Mnangagwa,” the application reads. “I had not at any time consented to the conduct of the second and fourth respondents. I am advised that the first respondent’s conduct of facilitating the conduct of second and fourth respondent contravenes the provisions of the Postal and Telecommunication Regulatory Authority of Zimbabwe (Regulatory Circular on Unsolicited Bulk SMS) Regulatory Circular No. 2 of 2013 as read together with Section 4 of the Postal and Telecommunications Act Chapter 12.05 of 2000. “The conduct of the respondents was therefore unlawful and should be declared as such,” read the application. The text messages have been received with mixed feelings as many seek answers as to how Zanu PF was able to get their numbers when all the fingered parties have denied responsibility. Asked for his opinion, Great Zimbabwe University (GZU) law lecturer, Dr Admark Moyo concurred with Mafa’s arguments, saying people should be left to decide who could and who could not communicate with them. “If any person or State agency reveals our contact details to another person or another State institution without our consent, the first mentioned person or agency is acting both unlawfully and unconstitutionally. Recently i needed a consultation following contacting machines other businesses that denied me lawyer. We voiced having a lovely lady who had been type and useful, they have chose to let me together with my personal declare for a motor vehicle accident that was within The YEC. I am looking towards obtaining their very own team assist me to.